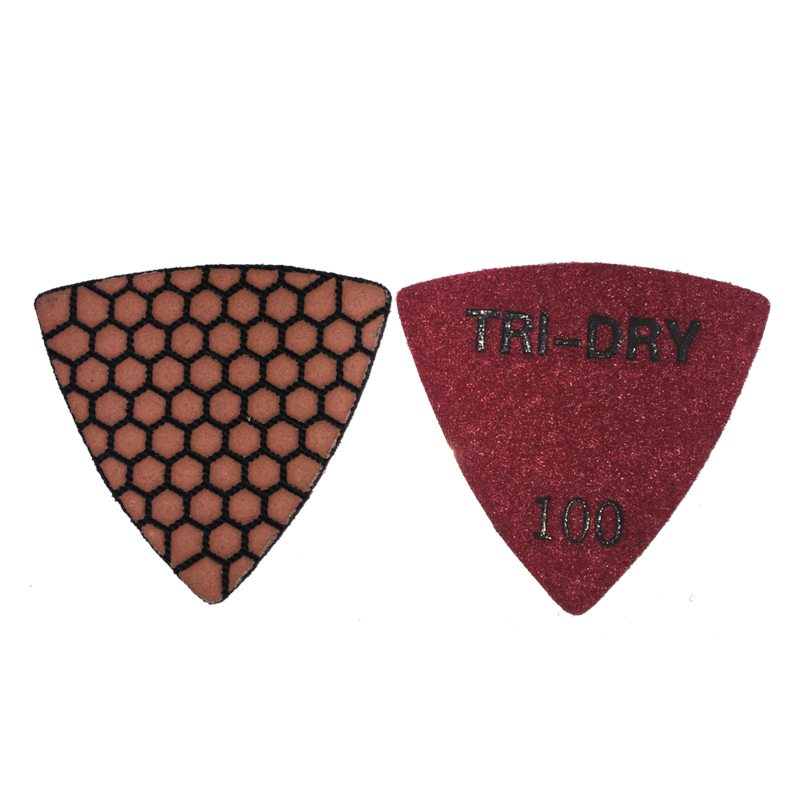 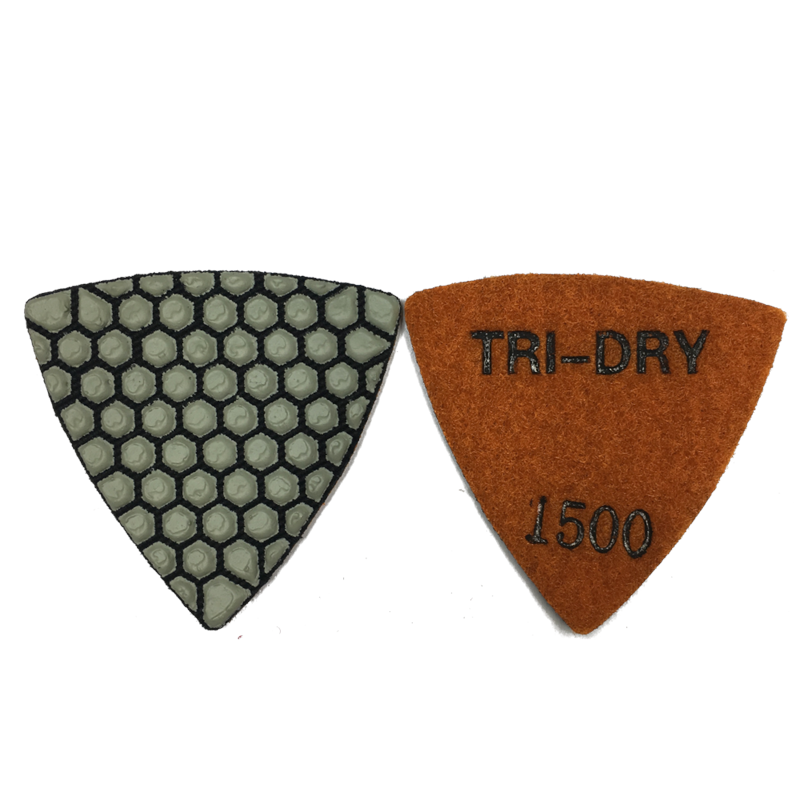 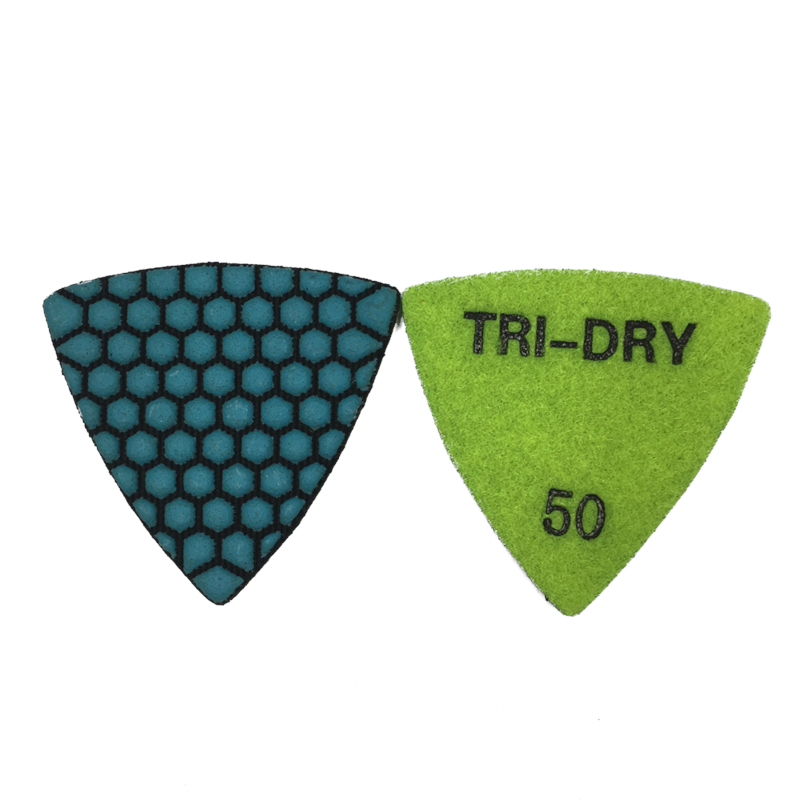 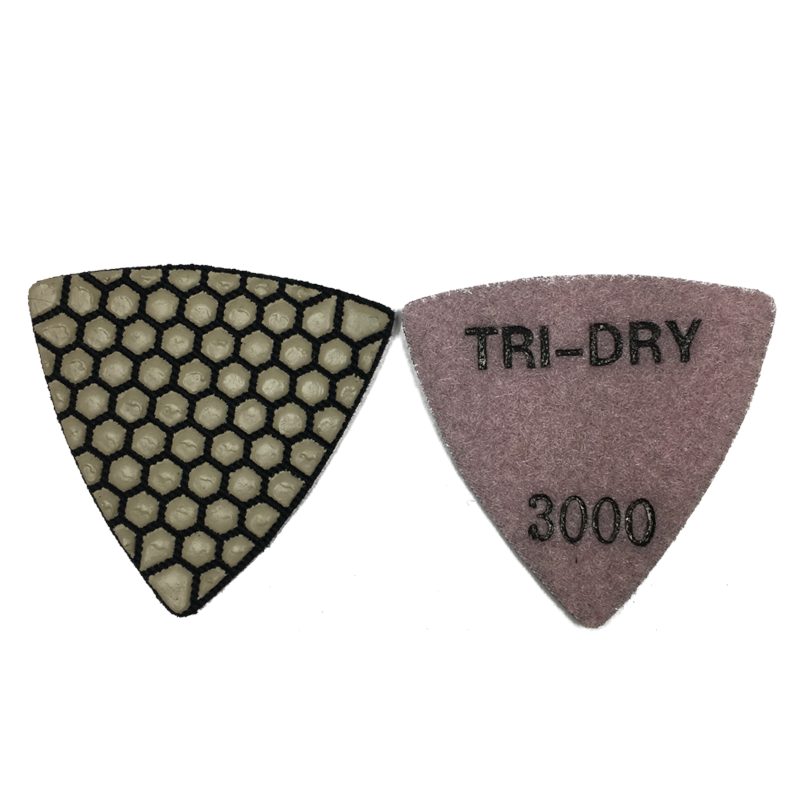 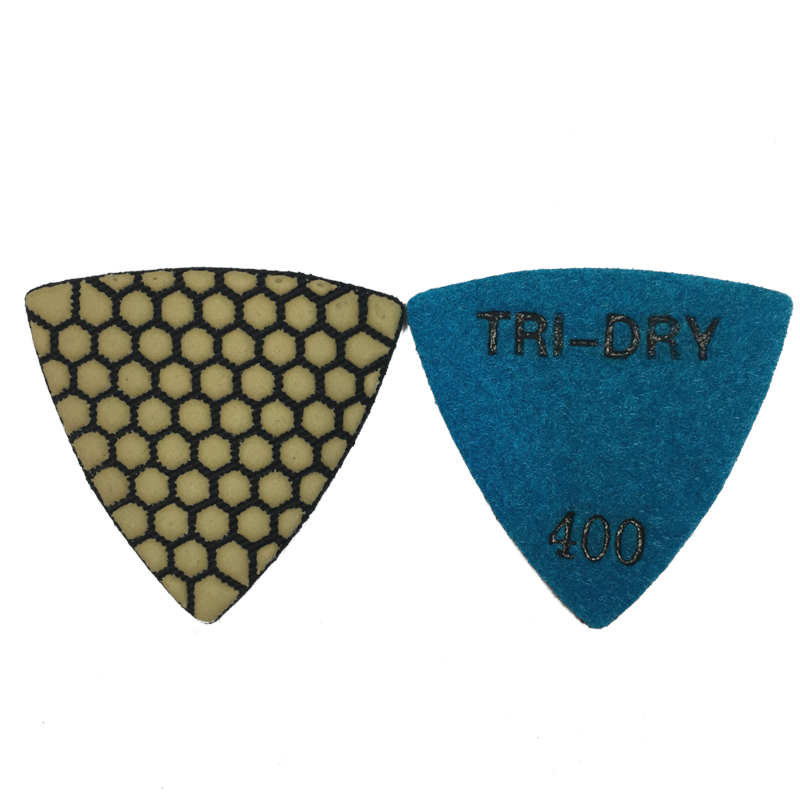 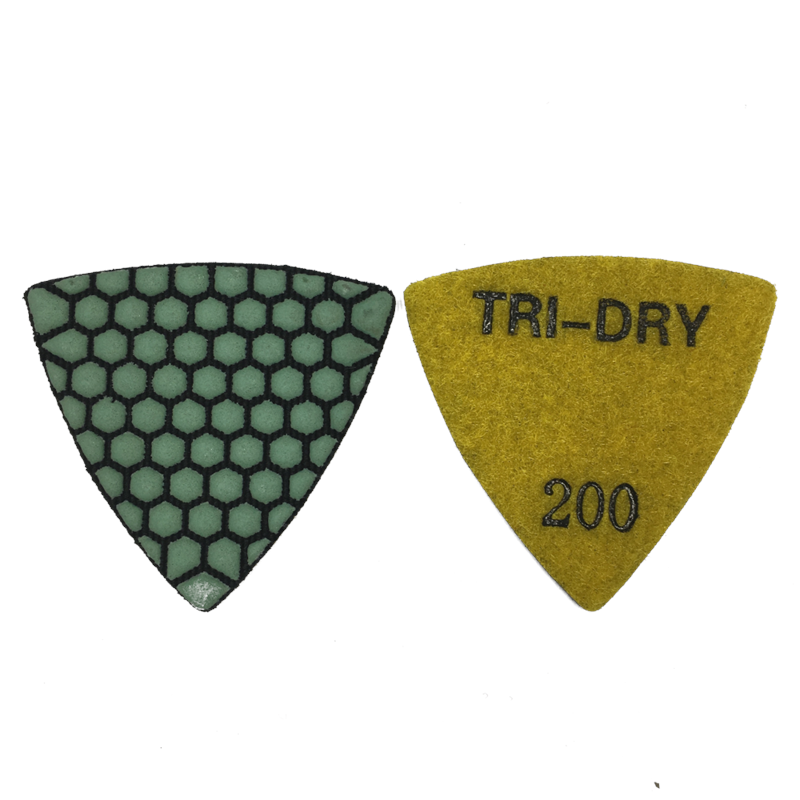 All new TRI-DRY triangle diamond polishing pad consists of a full 50-3000 grit set. 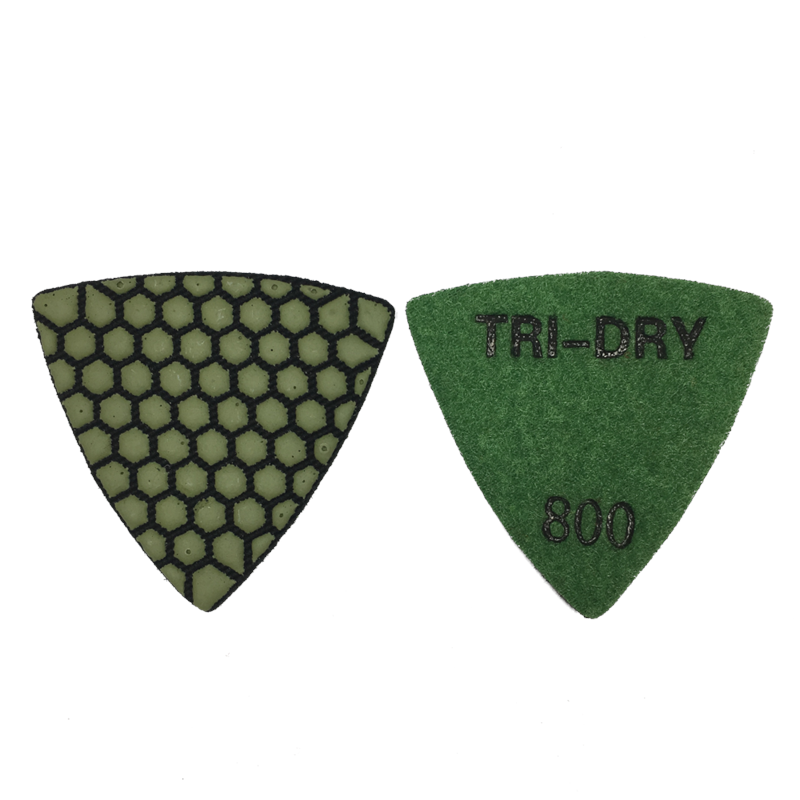 They are velcro backed, and can be used dry or wet on FEIN or other oscillating tools for detail polishing of granite, marble, concrete and other types of stones. 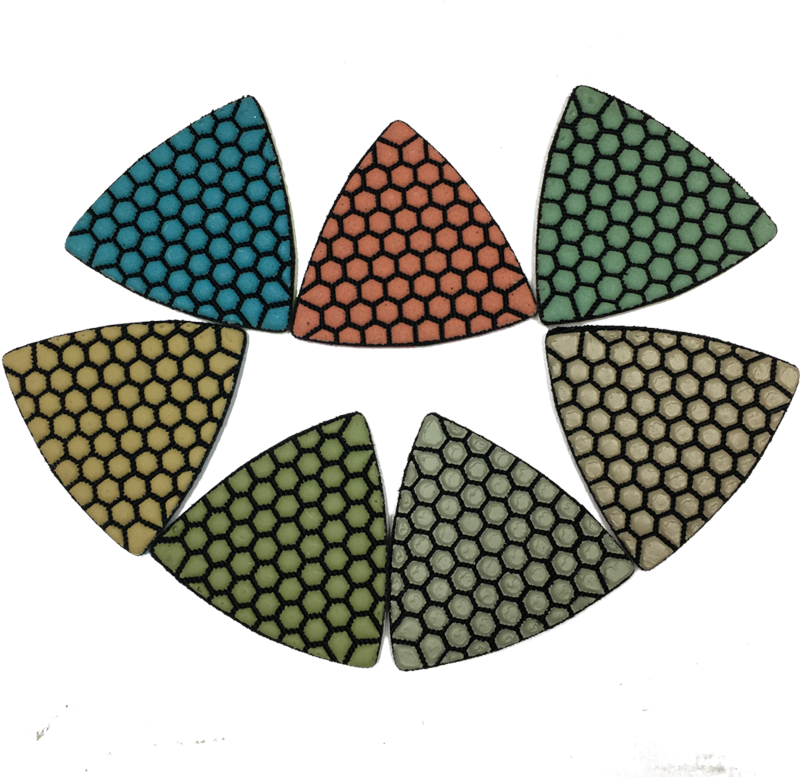 Save 5% when you buy a full set of 7!